Cookies & Cream unloaded on the Ham Slams in the first game of the 2016 EWL playoffs, winning the opening game of their first round series 14-2 behind a grand slam and six RBI from Guthrie, five hits and the cycle from Blose, and four hits each from Joey and Dinger. Guthrie pitched a complete game, allowing only two runs while scattering six hits, and Cookies & Cream took a 1-0 lead in the best-of-five first round series with the Slams. 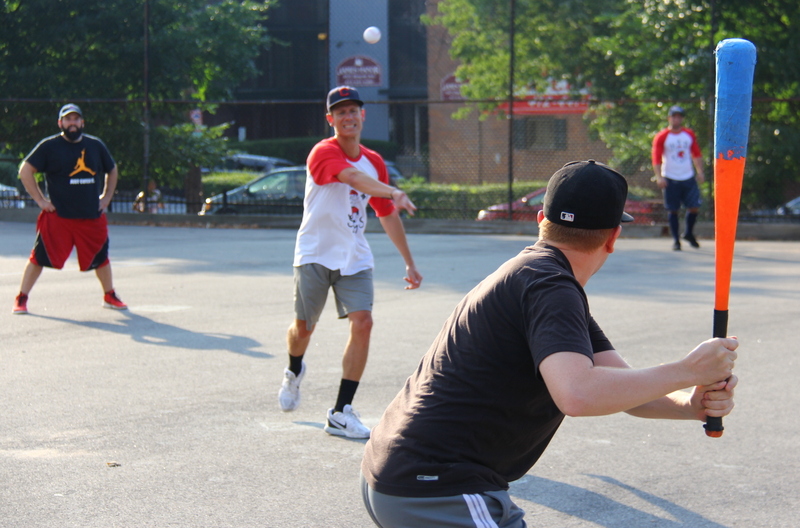 Guthrie, a playoff veteran and two-time Wiffle Series MVP, took the mound for Cookies & Cream and cruised through the top of the first, retiring the side in order. 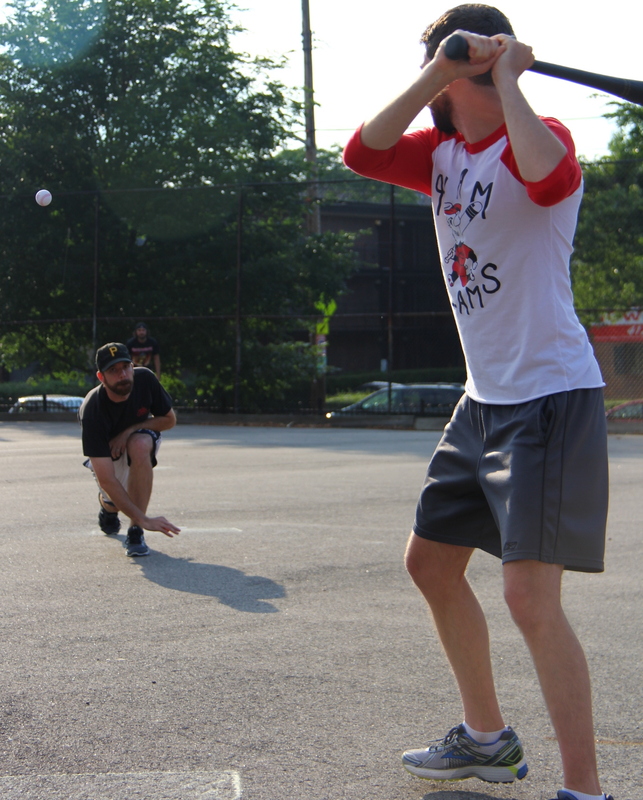 In a surprise move, the Ham Slams did not start their ace, Josh, and put Kessler on the mound. He retired Guthrie for the first out in the bottom of the first, but Blose followed with a massive solo homer to left-center, and Cookies & Cream had an early 1-0 lead. Kessler then retired Joey to end the inning, and the Slams trailed by one. Blose celebrates at the plate after his solo homer in the top of the first. He became the third player in playoff history to hit for the cycle. Guthrie continued to roll in the top of the second, retiring Joe, making his EWL debut, and Kessler. Dinger led off the bottom of the second with a single, but Kessler avoided trouble, retiring Jordan and Guthrie to strand the runner and end the inning. In the top of the third, Guthrie retired Josh and Dan. Guthrie was perfect through three and had retired the first six batters of the game. Guthrie delivers a pitch to Josh. Josh had two singles in the loss, and Guthrie pitched the complete game win for Cookies & Cream. Cookies & Cream opened up a big lead in the bottom of the third, providing Guthrie with all of the run support that he would need. Blose led off with a double, and he scored when Joey followed with an RBI single to make the score 2-0. Dinger and Jordan both singled, and Cookies & Cream had the bases loaded with no outs. Guthrie came to the plate, and he launched a high fly ball to left. It cleared the fence, and Guthrie had hit the third grand slam in postseason history and the first since 2013. Blose and Joey each followed with singles, and the first seven Cookies & Cream hitters had reached base safely in the bottom of the third. It looked as if they would blow the game open, but Kessler regrouped and retired Dinger and Jordan to strand both runners, ending the inning. The Ham Slams trailed 6-0, but would get on the board in the top of the fourth. Joe tripled to right field to start the inning, and Kessler provided his own run support, hitting an RBI double that cut the score to 6-1. Two batters later, Dan hit an RBI single that scored Kessler, and the score was 6-2. Joe followed with a double, and Kessler came to the plate with runners on second and third and a chance to put a big dent in the Cookies lead. Guthrie buckled down, however, and got Kessler to ground out to left for the second out of the inning, stranding both runners. Up four, Cookies & Cream had a monster inning in the bottom of the fourth, fueled by a host of fielding errors by the Ham Slams. Guthrie singled to start the inning, and he moved to second when Blose followed with a single. Joey hit an RBI double, scoring both runners, and Cookies led 8-2. Dinger then singled, scoring Joey from second, and the score was 9-2. Two batters later, Guthrie hit an RBI single to score Dinger, pushing the score to 10-2. Blose followed with a triple, completing the cycle and scoring Guthrie to make the score 11-2. Blose became only the third player in EWL playoff history to hit for the cycle, and the first since 2012. The onslaught continued as Joey followed with a double, scoring Blose, and the score was 12-2. 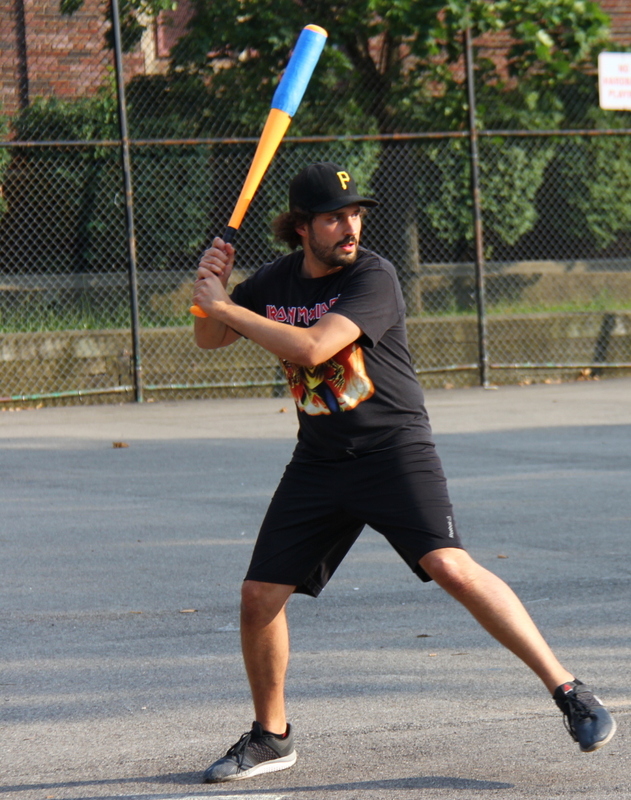 Dinger then hit his second RBI single of the inning, scoring Joey, and Cookies & Cream led 13-2. Kessler finally retired Jordan to end the inning, but Cookies & Cream had taken an eleven run lead. Josh singled to start the top of the fifth, but the Ham Slams couldn’t rally, as Guthrie retired Dan and Joe to end the inning. Kessler delivers a pitch to Dinger with Blose on second. Dinger had four singles and two RBI in the game. Guthrie would provide one additional run to support himself in the bottom of the fifth when he led off the inning with a solo homer, his second blast of the game. Kessler would retire Blose and Joey to end the inning, and Cookies & Cream led 14-2 heading into the final frame. Josh would single with one out in the top of the sixth, but the Ham Slams couldn’t string together hits, as Guthrie retired Dan to end the inning and the game. 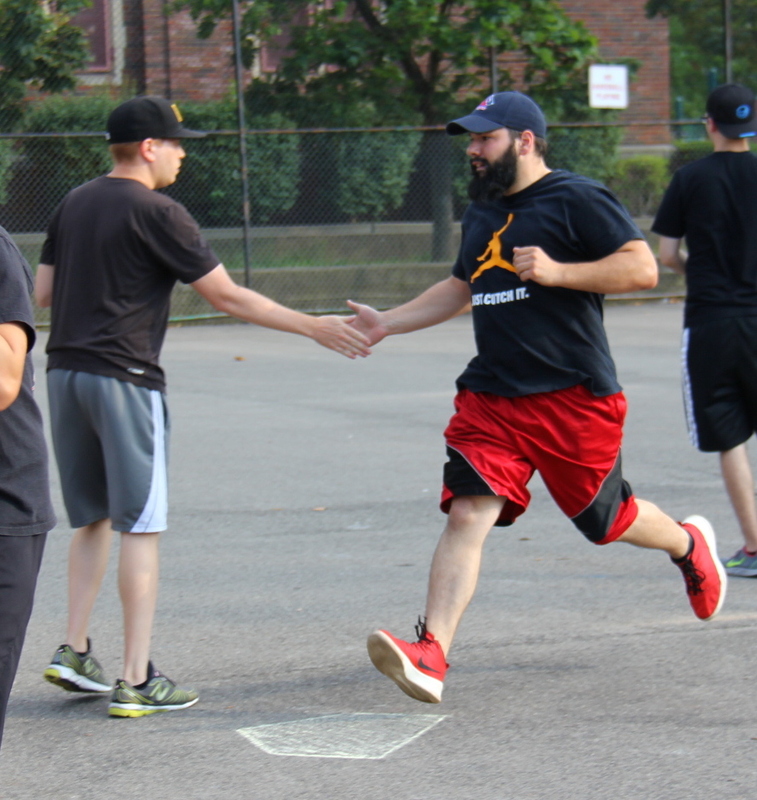 Cookies & Cream had taken game one of the series 14-2 and led the best-of-five first round series 1-0. – Guthrie pitched the complete game win for Cookies & Cream, allowing 2 earned runs on 6 hits in 6 innings. 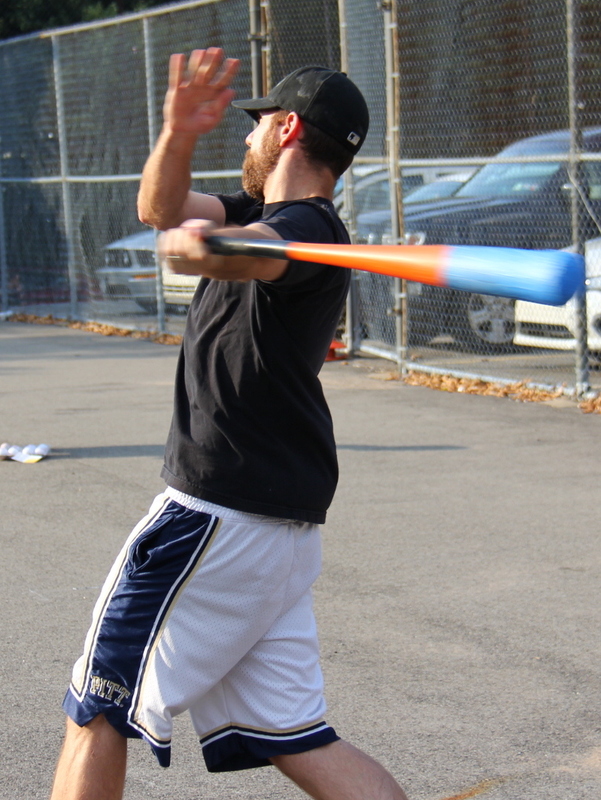 – Kessler took the loss for the Slams, giving up 14 runs on 18 hits in 5 innings. – Guthrie went 4-for-6 with 2 singles, 2 home runs, 4 runs scored, and 6 RBI. His grand slam was the third in EWL playoff history and the first since 2013. – Blose hit for the cycle, going 5-for-6 with 2 singles, a double, a triple, a home run, 4 runs scored, and 2 RBI. He became the third player in EWL playoff history to hit for the cycle, and the first since 2012. – Joey and Dinger also each went 4-for-6 for Cookies & Cream. Joey had 2 singles, 2 doubles, 3 runs scored, and 4 RBI. Dinger had 4 singles, 2 runs scored, and 2 RBI. – Joe led the Ham Slams on offense in his EWL debut. He went 2-for-4 with a double, a triple, and a run scored.